Located in Northeast Arkansas, Wildy Family Farms is an operation that has been passed down through five generations. Strong family ties are of utmost importance to us. As a diversified farming operation that produces a combination of cotton, corn, soybeans, and peanuts, we take pride in being able to raise our families on the farm. In doing this, we hope to instill family values, work ethics, responsibility, and pride. Our goal is to honor the legacies of past generations by providing opportunities for future family and employees. Wildy Family Farms will be an organization that is forever evolving and sustainable. We will positively impact our community, and we will leave a legacy for generations to come. We will strive to become the leading contender and operation of choice while maintaining our honesty and integrity. Our operation exemplifies responsible and environmentally protective farming techniques, and we will continue to remain innovative and adaptive stewards of the land through cutting-edge technology. Through foreseeing care and guidance, our operation will continue to cultivate superior agricultural products while keeping the true family farm in existence for future generations. Wildy Family Farms is a fifth-generation family farm that began in southern Illinois in the late 1800’s. In 1914, Edward S. Wildy moved the family farm to Arkansas where it began to take root in Mississippi County. After graduating from the University of Arkansas in 1938, Edward’s son Earl initiated Wildy Farms as we know it today. David Wildy started farming with his father, Earl H. Wildy, in 1975. Over the years, Wildy Farms has produced a variety of crops, including cotton, Christmas trees, tomatoes, rice, milo, soybeans, corn, and chrysanthemums. In 1977, Wildy Family Farms built the first office that was outside of the residence. The office structure also included a shop area for equipment repair. As the farm continued to grow, the farm outgrew this facility. A new complex that houses offices, a warehouse, and a climate-controlled shop was erected in 1994. 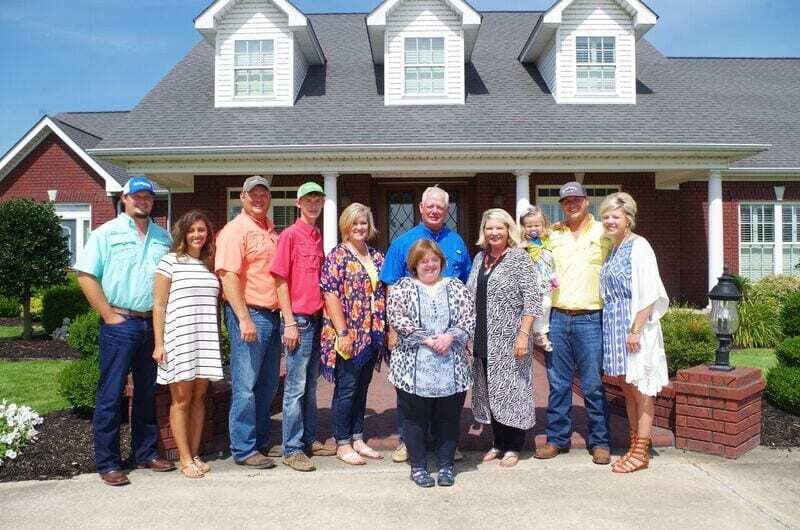 In 1996, Justin, the eldest of David Wildy’s children, came back to the farm full-time after receiving an Agriculture Business and Economics degree from Arkansas State University. In 2011, Paul Harris, the husband of Bethany Wildy Harris, came back to the farm full-time after receiving an Agriculture Food and Life Sciences degree from the University of Arkansas. In 2014, Tab, the youngest of David Wildy's children, came back to the farm full-time after receiving an Agriculture Food and Life Sciences degree from the University of Arkansas. The family farm has consisted predominantly of cotton for the last twenty years, but in 2007 soybeans and corn made their way back to the farm. With the grain operations expansion, grain facilities were added to the farm in 2007 and 2009. Our most recent addition to the family farm has been peanuts. Our peanut production started with 750 acres, but we have since graduated to 1,650 acres. Since 1975, there have been many changes in the farming industry, but Wildy Family Farms has learned to adapt and remain innovative with the latest technology.